I did not watch these demonstrations and was anxious to get into a space simulator that didn’t require a beefed-up PC with Oculus Rift. I have always been fascinated by what was out there in the emptiness and openness of space. I put No Man’s Sky in expecting to see an expansive and small universe. Were the complaints of disappointed gamers totally unwarranted or deserved? When I first turned on the game, it crashed. Then it got good. The game starts with your unnamed character crashed, alone, and stranded on an alien planet. 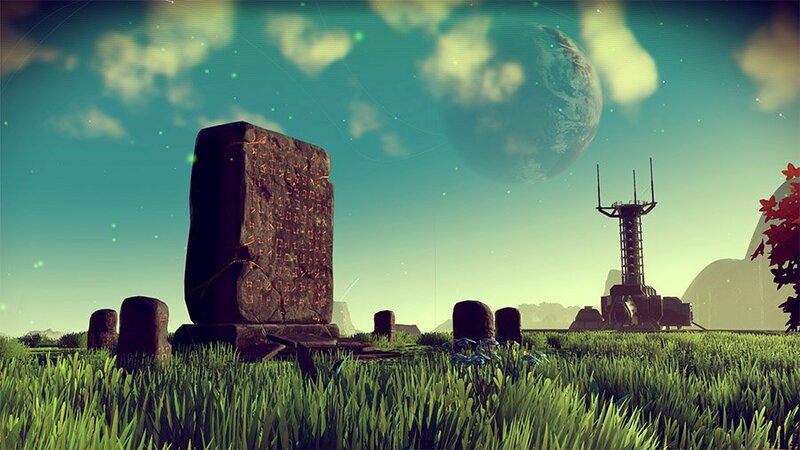 Through a first-person perspective, you are likely the first person to ever see this planet, The planet, like every planet in No Man’s Sky, is procedurally generated and friendly to new players. One of my favorite things about the opening is the small amount of information that is told to the player. Controls, systems, and exploration are mostly fed to the player at the speed of their own hunger to learn. I learned after traveling on foot for 30 minutes that you can in fact run. I learned the hard way what happens when you don’t collect the right resources as I approached an outpost, miles from my ship. Once I had the resources to take my ship into the stars, it was time for the next phase of the adventure, space travel. Jettisoning through the atmosphere and into open space is an experience I highly recommend. The first time you fly into space and travel to another planet in the system (which could take real earth days if you don’t use your thrusters) is a treat. Take it a step further and open up the galactic map to really feel like a tiny speck in a massive universe. Here, individual stars denote entire solar systems, and the center of the universe feels impossible to get to. So why the low score? It is at this point in your story that No Man’s Sky starts to lose its purpose and feels like a bit of a grind. 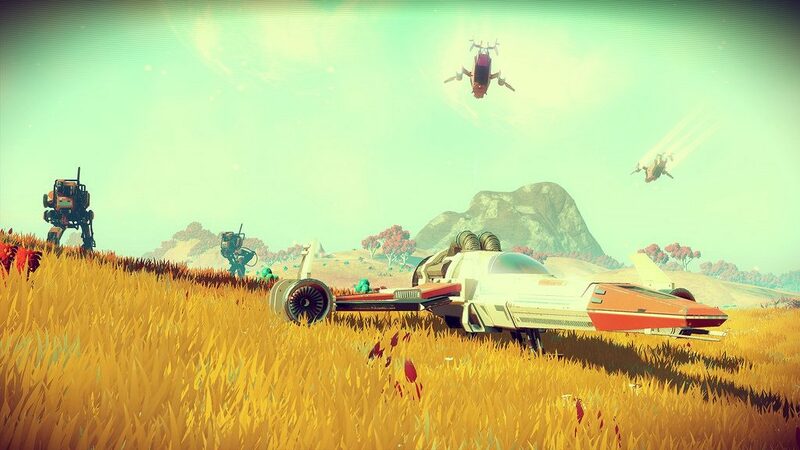 Once the initial thrill of exploring the unknown wears out its welcome, the player is left with the hard reality of No Man’s Sky. For a game about exploring an expansive universe and getting to the center, the journey is as trite as it gets. Like the unrealistic expectations set by the game’s creator, the game tasks you with doing something huge, but makes that path as exciting as watching paint dry. 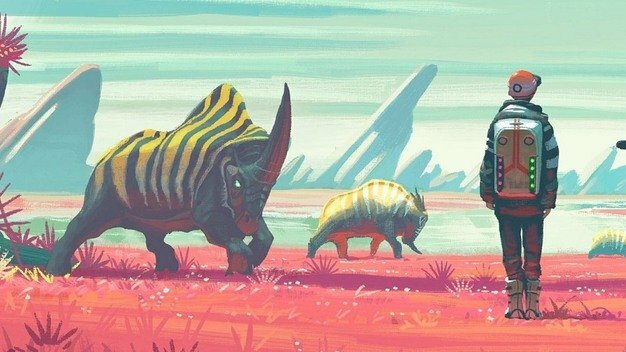 Combat is extremely limited and not a focus in No Man’s Sky. This means there isn’t any ebb and flow to what is happening. There isn’t an up and down emotional ride that a player would expect. You can tell your own story, but that story is going to be fairly one-note. When there is combat, it entails shooting at drones, that get increasingly more aggressive and powerful as you get closer to the center of the universe. These are never a significant challenge and are uninspired enough to feel boring. The other factor is the procedurally generated nature of No Man’s Sky. To some, the idea of being the only player to ever discover one of the 18,446,744,073,709,551,616 planets is a cool thought. To others like myself, it makes for a game without any “moments.” Since the creators cannot expect a gamer to be anywhere in particular, there can never be an obvious climactic scene or big twist. You can land on a planet knowing that nothing truly remarkable will ever happen to you or your ship. The game is (was at time of this print) riddled with game crashing bugs that popped up far too often. I also saw the game freeze on a few occasions, requiring a hard reboot of my Playstation. Speaking of which, I played the game on Playstation 4 but heard that the PC version had even more bugs, extended to weird physics glitches and other intrusions in the game experience. 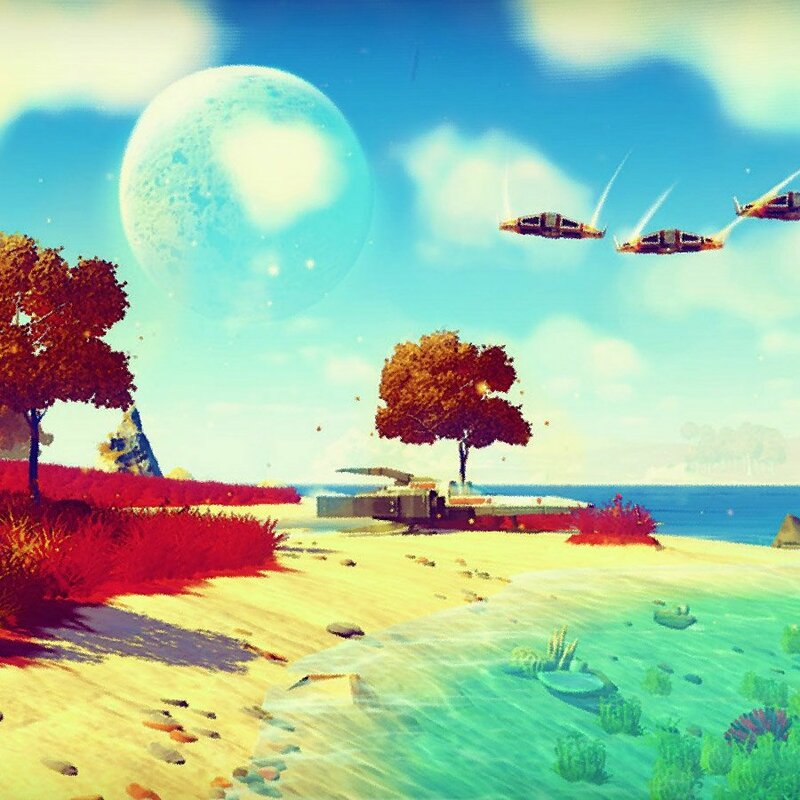 Ultimately, No Man’s Sky is a bunch of great concepts and thoughts encapsulated into a middling gameplay experience. Bugs and lofty expectations get in the way of what would have been a passable space simulator with little to keep you coming back.